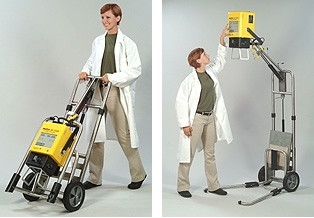 PowerPlus™ makes it the most powerful portable x-ray unit pound-for-pound available today. PowerPlus™ features a CPU to control all functions. The result is more power, less weight, superior performance and less maintenance. Additional features are depicted below.